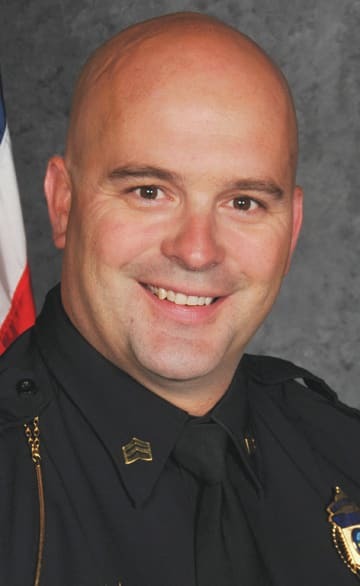 XENIA — Xenia police sergeant Chris Stutes recently graduated from the Public Safety Leadership Academy held by The Ohio State University — John Glenn College of Public Affairs. The academy is an intensive and innovative 11-week course with content in the areas of leadership and ethics; interpersonal and organizational communication; public management; organizational culture and ethics; human resources management; and budgeting and organizational behavior in policing. Col. Paul Pride, superintendent of the Ohio State Highway Patrol, said the academy training opportunity is a “training experience unlike anything offered in the nation”. Stutes — a 19 year veteran with the Xenia Police Division — and 33 other law enforcement officers from around Ohio graduated May 29 at ceremonies in Columbus. Throughout his career, Stutes has served as field training officer, crisis intervention officer, and hostage negotiator, and is currently assigned as patrol sergeant.